Essex, VT – Vermont is having a game festival! The Champlain Games Festival is a single day event featuring locally made digital and tabletop games. The event is family friendly and will take place at the Champlain Valley Exposition, Essex Junction, Vermont on April 14th 2018. It is a chance for gamers and game developers to connect and play fun games. Aube expects that the Champlain Games Festival will become an annual event and a family favorite. 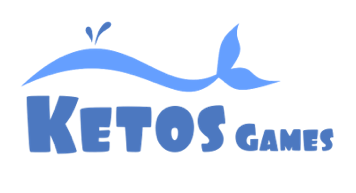 About Ketos Games: Ketos Games is a family oriented, video game development studio based in Vermont. The company was established in 2014 by Curtis Aube. In 2015 they released Marble Muse, a game about navigating a marble through a 3D obstacle course by rotating the course itself. Since the release of Marble Muse, Ketos Games has been working with Wooplah on Pollywog Pond, an educational video game portal for preschoolers. Curtis Aube is a software developer that has been making video games for over 17 years.